There is no underestimating the value of a lowered voice. Of the albums’ thirteen songs, most are romantic ballads (“scattered pictures of the smiles we left behind” to quote “The Way We Were”) delivered in a spirit of wistfulness and gratitude. 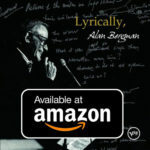 Crooned slowly in a conversational talk-sing voice, with perfect enunciation, and surrounded by sighing gossamer strings, his singing is honest, dignified and entirely devoid of affect. Mr. Bergman’s natural style suggests a merger of two of his idols, Johnny Mercer and Fred Astaire. You can’t find better role models than that. “The Windmills of Your Mind”, “Nice ‘N’ Easy”, “The Summer Knows”, “That Face”, “The Way We Were”, “What Are You Doing The Rest Of Your Life”? 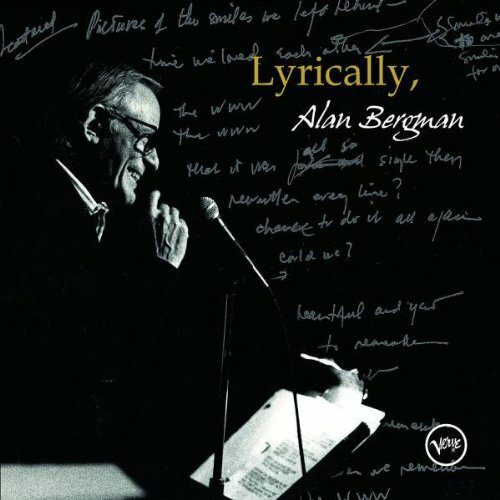 And my personal favorite “Where Do You Start?” are just a sampling of the bakers’ dozen of timeless songs on Lyrically, Alan Bergman CD. 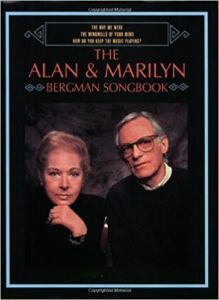 Marilyn Bergman, Alan’s wife and writing partner pf 50 years contributed the background story of each song in the booklet which adds a whole other dimension to the listening experience. The songs were written with composers such as Michel Legrand, Dave Grusin, Marvin Hamlisch and Johnny Mandel and the orchestration and musicianship are simply stunning. But the most exquisite part is Alan’s voice. It’s so subtle and real that it’s like hearing a song that’s always been a part of your life for the very first time, the way it was meant to be sung.